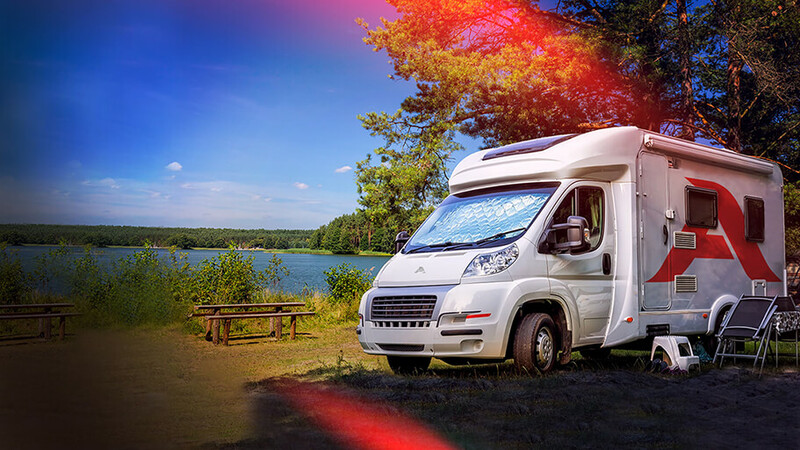 Motorhome, mobile home, campervan – call them what you will; if you’re feeling the lure of the open road, a mobile home is the perfect investment for future holidays. But with so many to choose from, deciding on the right one for you can be easier said than done. Here are some things to think about when you’re making your selection. ● Panel van conversions don’t tend to have as much headroom, though some may have a rising roof that gives you the ability to lift the roof up when you’ve stopped for the night. ● If you’d prefer to have a toilet and shower on board, a low-profile ‘coachbuilt’ motorhome is probably going to be a better option for you. These are sleek and modern and many also include electric drop-down beds. ● If you’re travelling with your family and need extra bed space, or you don’t want to have to make the bed up each night, you might want to consider an over-cab bed motorhome, which has fixed a double bed over the cab. However, this style is thought to increase fuel consumption due to the drag created by its shape. ● If you’ve got a big budget, an A-class or the even bigger American-style RV offer a more luxurious mobile home experience and may even have more high-end fittings than your own house. The downside is that the price tags are considerably heftier and they’re much bulkier, making them more difficult to park and house. Another tip: choosing a mobile home made by a well-known manufacturer such as Auto-Sleeper or Swift typically means a lower depreciation rate. You’ll come across lots of different layouts and facilities when you’re looking at mobile homes, and you’ll find some more appropriate to your needs than others. Clearly the number of people you’ll typically travel with is a major factor, but there are other considerations to bear in mind based on your holiday style and personal preferences. For example, if you tend to prefer eating out at restaurants, a kitchen with just a simple two-ring hob won’t be a problem; but if you’re going into full self-catering mode, you’ll want a proper four-ring hob, fridge, freezer and cupboard space. If you’re going to be using the motorhome a lot in winter, you’ll need decent heating and an insulated water system that can handle sub-zero temperatures. Similarly, if you’re planning to travel into Europe over the summer, air conditioning would be a sensible feature to look for (some earlier models may not have this). If you don’t fancy the hassle of making up beds each night, you’ll want to choose a layout that has fixed berths, such as those with double beds above the cab. You might want to extend your living space by adding an awning, or take bikes or even a small car with you, and in each case you’ll need a motorhome that can accommodate these preferences. Finally, once you’ve chosen the perfect motorhome for you, don’t forget to contact us for motorhome insurance to cover your new investment.